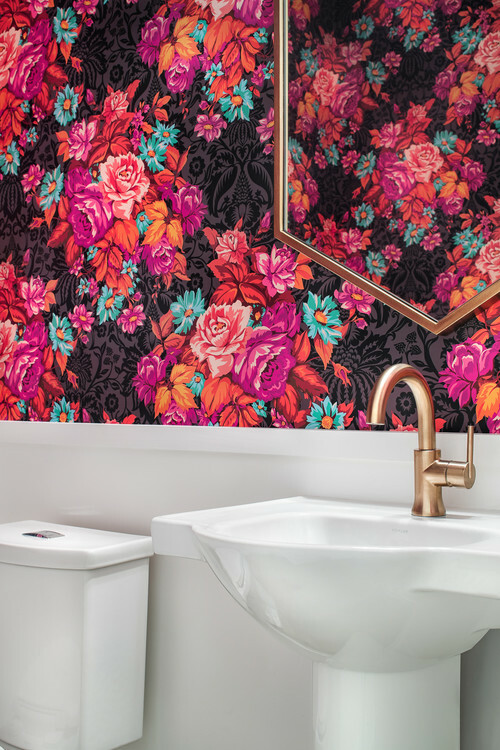 If you’re looking for ways to add pink to your bathroom renovation, this post is for you. 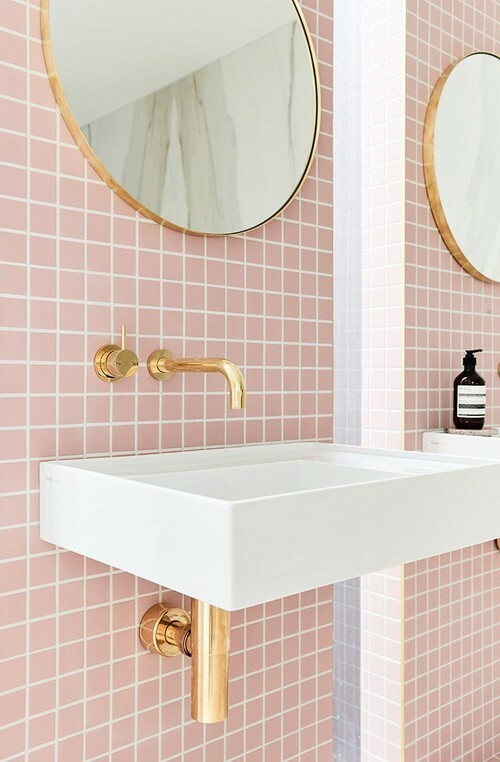 I’ve found 20 Pink Bathroom Ideas that modernize retro… well I think they atleast try to modernize it. 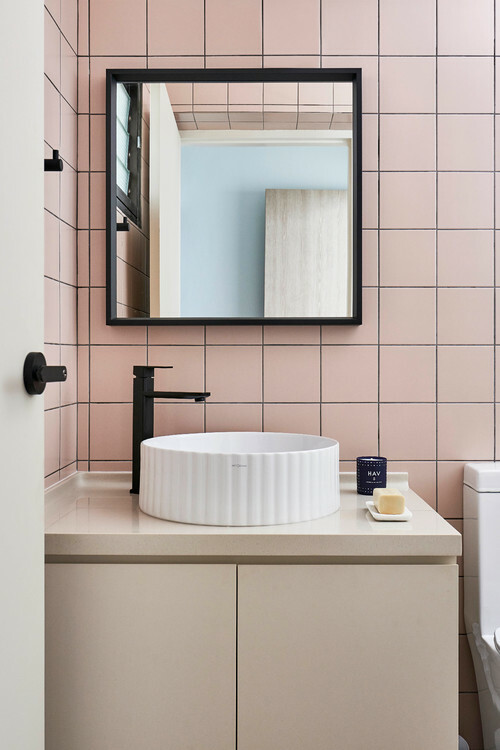 Utter the words ‘pink bathroom’ and a myriad of 1950’s and 60’s bathroom designs will flood into your mind. 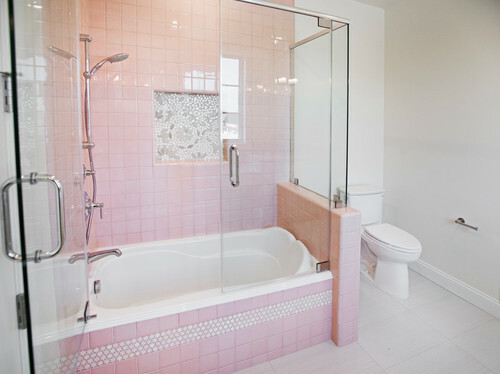 Even though the colour was popular in bathrooms 30 years before my time, my grandparents had a pink bathroom which was the trend of the day. 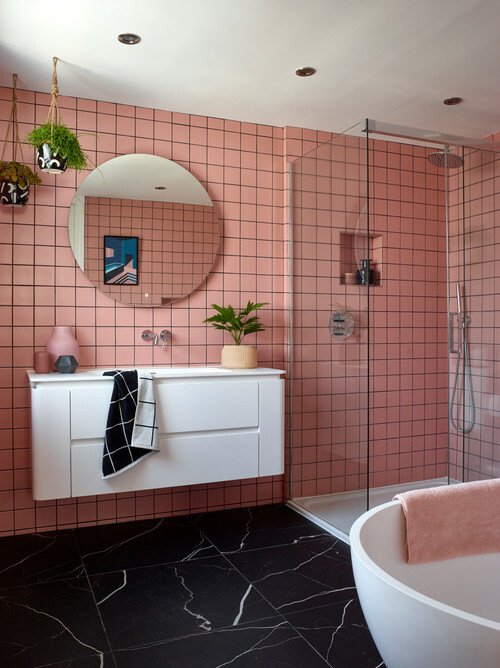 The pink bathroom has surged in popularity in the last few years, in part due to the trend of millennial pink used in interiors. 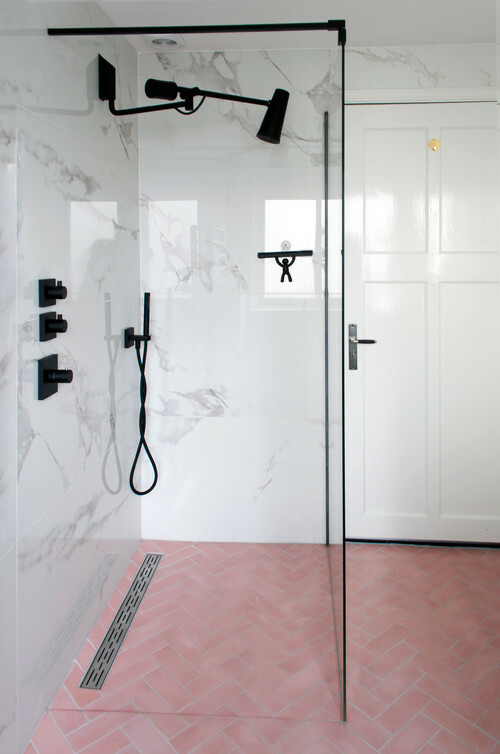 Pink is definitely a colour that can work well with the current bathroom colour trends of black, white and grey. It can also work well with bold hues of teal and emerald green, as you will see below. It’s certainly not a colour everyone will embrace. 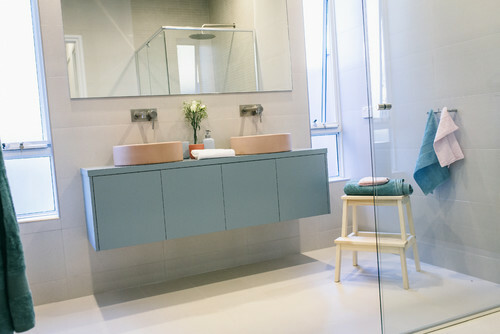 But if you are partial to the pink bathroom or are open to including it in your renovation, here are some pink bathroom ideas to inspire. 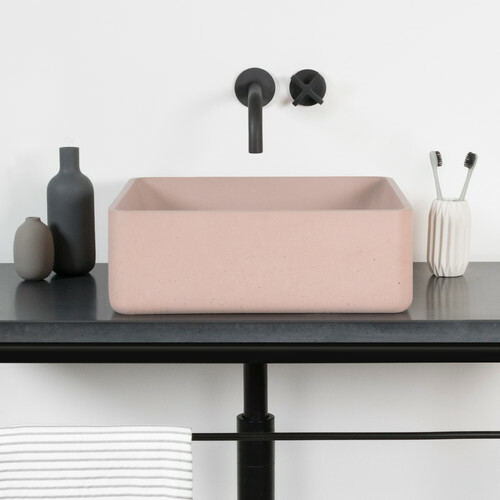 Introduce pink through a vanity bench. 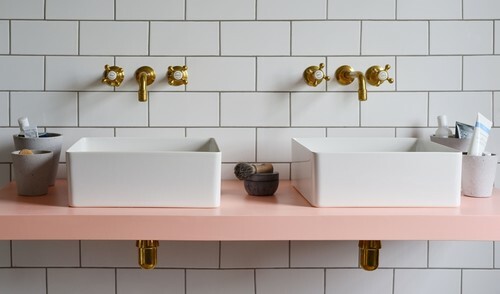 Pink vanity basins are a popular way to embrace this hue in the bathroom. The colours range from blush to salmon. 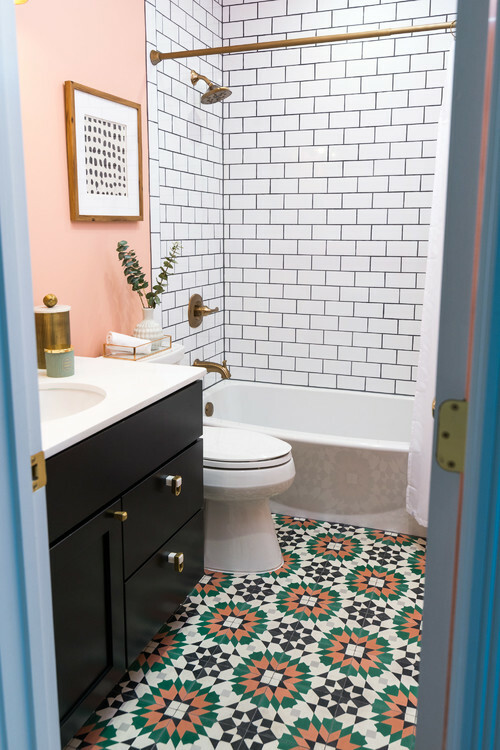 A pink tiled floor can work well with a white or dark wall. 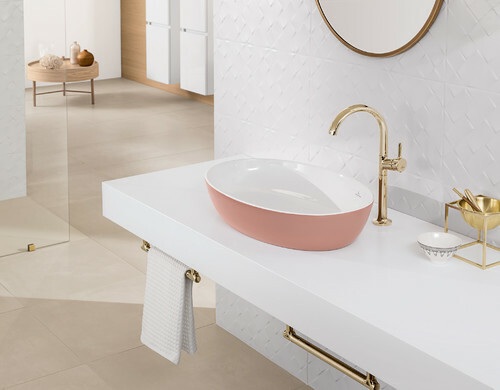 The most common way to introduce pink is with the wall tiles. 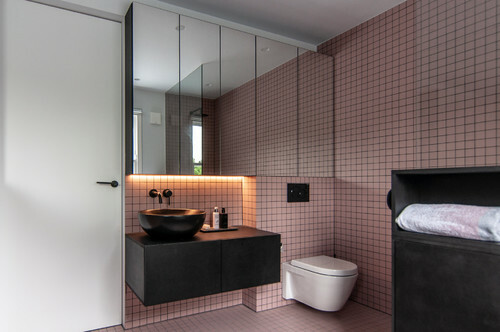 White or black grout can make the tiles standout. 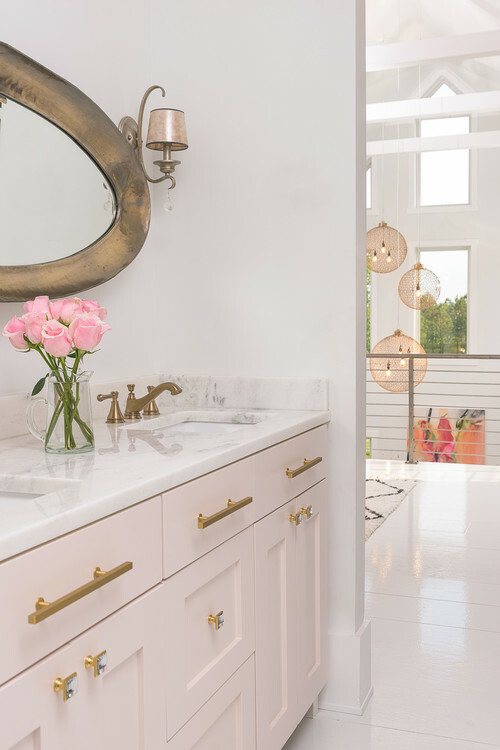 Pink cabinetry can be bold, yet in this bathroom it adds much needed colour and interest. 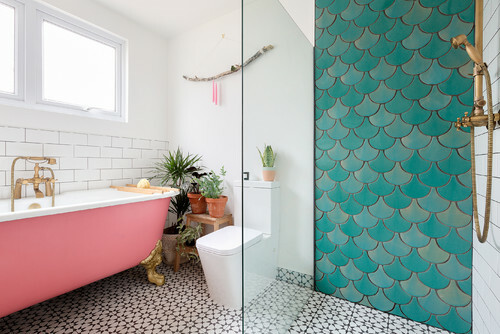 This pink free standing claw bath is bold, yet it works well against the teal tiled wall. 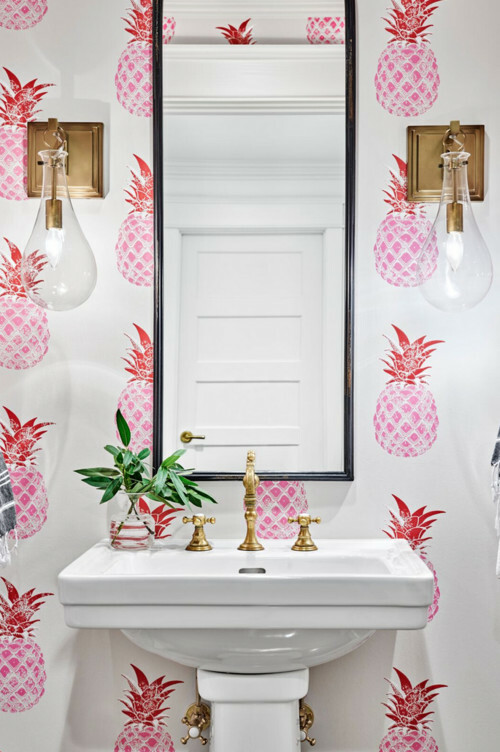 Pink wallpaper is probably the most easiest way to introduce pink into a bathroom, giving it a modern update. 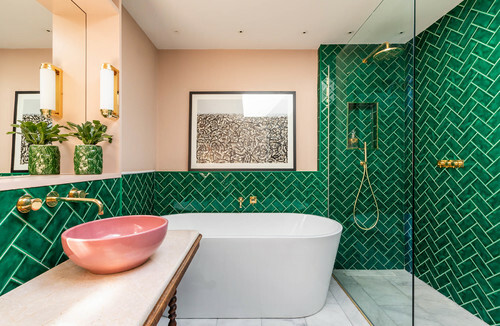 A patterned floor can introduce pink ever so subtly. 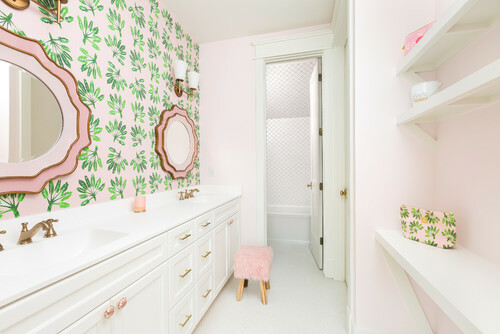 Pink is embraced in the small details in this bathroom. 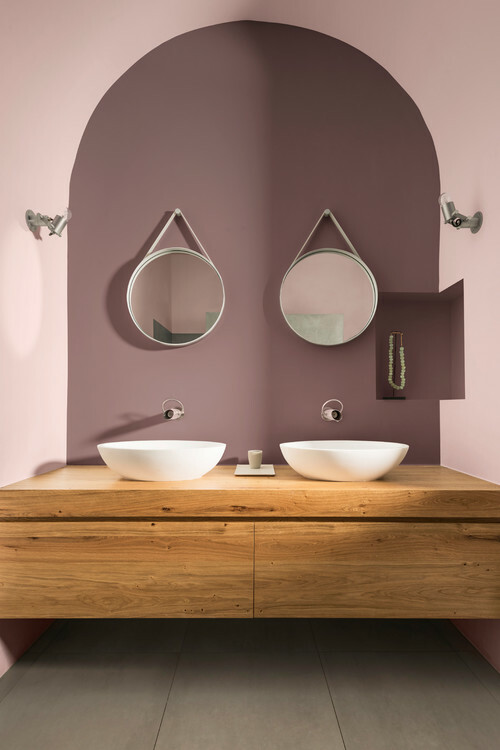 Pink paint is a simple yet effective way to infuse a bathroom with this hue. 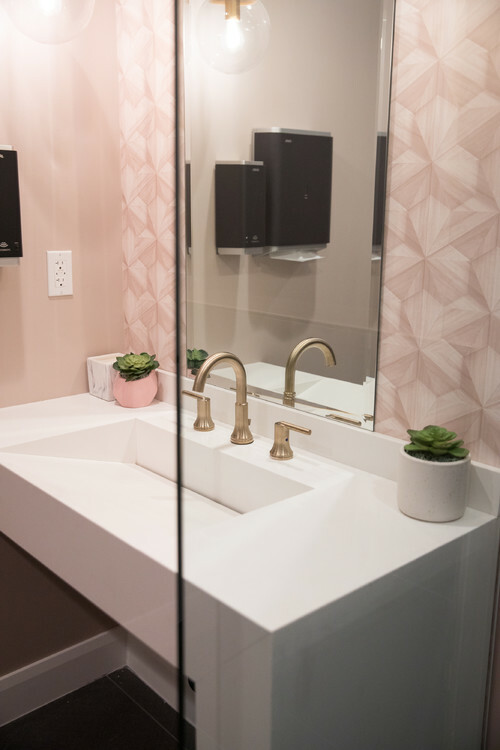 What are your thoughts on pink bathrooms? 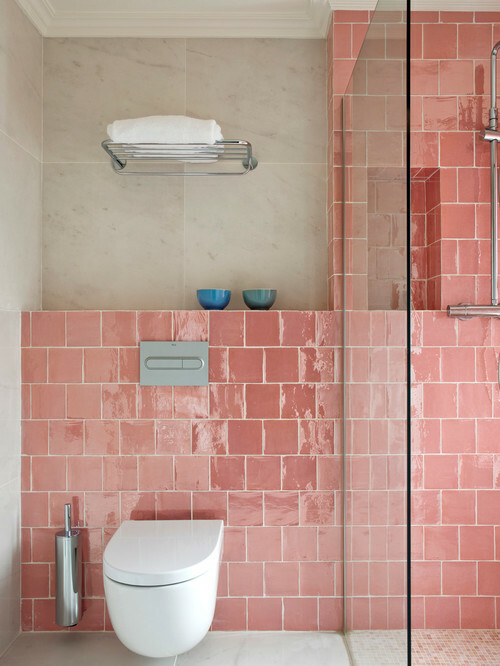 Which of these pink bathroom ideas could you embrace in your home? Next articleWhat Does Faith in the Unknown Look Like?